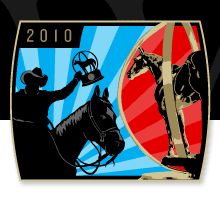 The American Quarter Horse World Show wrapped up on the weekend in Oklahoma City. There are also results for all of the Amateur events, English events and Open Junior events. For more results check out the AQHA World Show results page HERE. 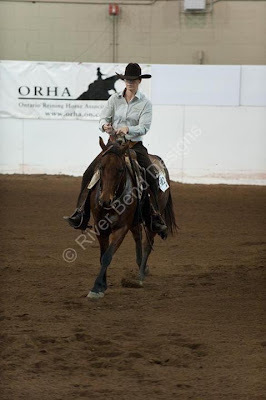 Nic Update, In the Boots of a Horse Trainer - 4, and Roscoe's "first" show! 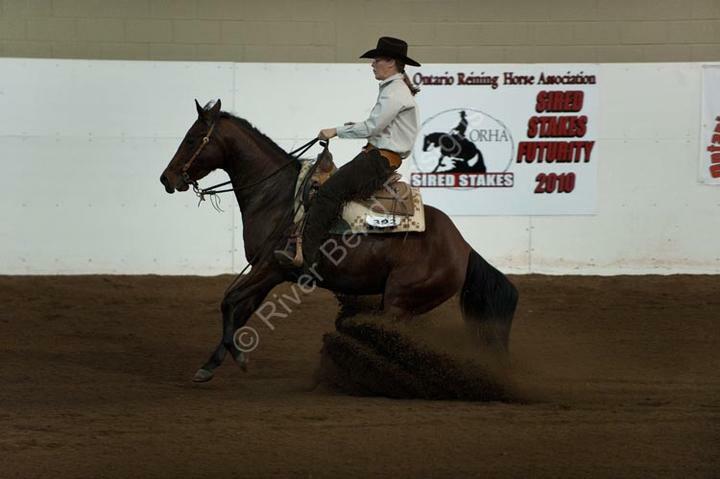 Nic, the very first lesson horse we used as Hayes Horsemanship, is now living North East of Toronto on Rice Lake. Photos of her, "Vacation Home" and her loving buddy Marilyn, can be viewed on our facebook page. Marilyn's home overlooks Rice Lake and offers 75 apple trees in the pasture which Nic takes full advantage of! Unfortunately, we've just heard from the vet that Nic is no longer in foal for 2011. She's doing just fine but somewhere along the line has absorbed the baby (still in the very early stages). Our 4th session in our "In the Boots of a Horse Trainer" series was a great success. The "trainers" worked really hard once again with new horse assignments this time. Each trainer worked with one horse in the morning and then observed a demonstration with the yearling gelding about leading and ground manners. They helped out around the barn with cobwebs and sweeping and then tacked up for a trail ride around the corn field just across the laneway from the farm. Pictures can be seen on our facebook page CLICK HERE. 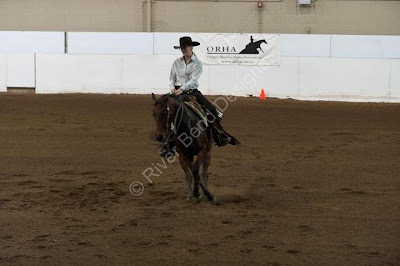 Roscoe, the newest horse to join the Hayes Horsemanship team, had his first show with Lindsay this past weekend. We were so busy banding, grooming and learning the ropes of the Western Riding stuff that we forgot to get pictures (sorry!!!). Roscoe was awesome throughout the whole show and we ended up with 3rd place under one judge and 4th place under the other judge in the Western Riding class. Now it's back to practicing before the next show in February! 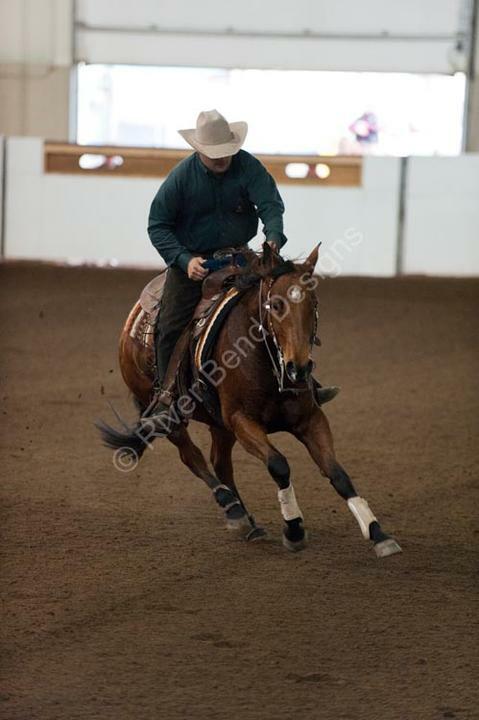 Welcome new horse ROSCOE to the Hayes Horsemanship team! 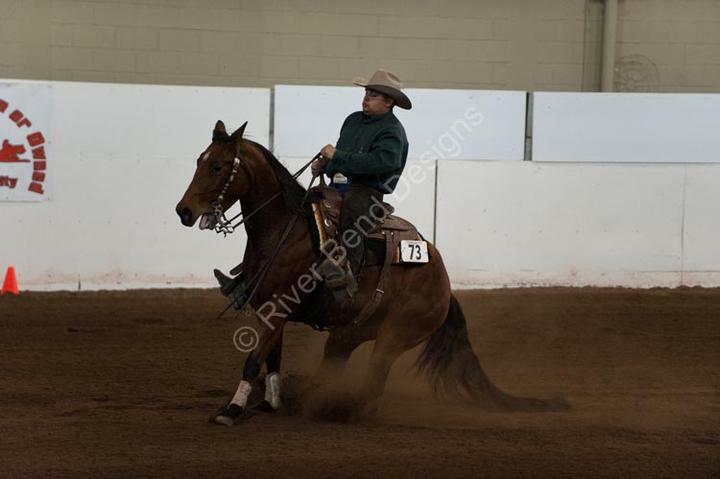 Roscoe is a 15 yr old Quarter Horse gelding with over 250 AQHA points on his show record. He has successfully competed in Western Pleasure, Horsemanship, Western Riding, Shwomanship, Trail, Halter, Hunter Under Saddle and even one Barrel Racing class! Due to his age and the amount of wear and tear generally incurred by a heavy show schedule, we asked our vet to perform a thorough pre-purchase examination (something we encourage all our students to invest in). Roscoe passed with flying colours. We look forward to some type of Meet n' Greet with Roscoe at Briarquest Farms so everyone can get a better look at him! Thanks to Riverbend Deisngs for capturing "Shorty" in action! Shorty's mother is our lesson horse J-lo! Can you see the resemblance? Pictured in the Ladies class is Peppy (aka Twist). Peppy ended up with 3rd place in the Ladies and 2nd place in the Rookie Professional class.